David Brunori, State & Local Tax Attorney, Washington, D.C.
David Brunori is a lawyer, journalist, author, and educator who specializes in tax and administrative law issues. He is a nationally known state and local tax expert who regularly speaks before practitioners, revenue departments, and legislators. His practice includes all aspects of state and local tax, including planning, audit defense, and litigation. Beyond state and local tax, he practices in a wide variety of Federal tax areas, with a particular interest and expertise in exempt organizations. Mr. Brunori practices in a variety of other areas of law beyond tax. He has been working on data privacy and security matters. He also has considerable experience dealing with the Foreign Corrupt Practices Act, compliance with international trade sanctions, First Amendment, Federal and state labeling laws, higher education, Federal and state legislative investigations, and alcohol licensing. When he is not practicing law, he is a Research Professor at the Trachtenberg School of Public Policy and Public Administration at The George Washington University where he teaches courses in state and local public finance, administrative law, and fiscal federalism. He also teaches state and local tax law at the George Washington University Law School. In 2013-2014, he was a member of the District of Columbia Tax Revision Commission. Mr. Brunori has published numerous books and articles on state and local tax policy. His book State Tax Policy: a Political Perspective, won the 2001 Choice Award. A third edition of his Local Tax Policy: a Federalist Perspective was published in 2013 by the Urban Institute Press. His new book, State Tax Policy: a Primer was recently published by Rowman & Littlefield. Mr. Brunori currently writes a weekly column for Law 360 in which he discusses current state and local tax developments. 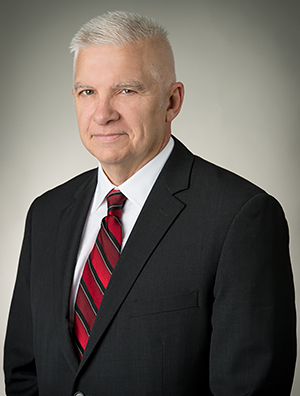 Prior to joining the firm, he served as an appellate trial attorney with the Tax Division of the United States Department of Justice and practiced international tax litigation with a law firm in Washington, D.C.